Obituary for Martin Larry Robinson, Sr.
Martin Larry Robinson, Sr. also known as BIG M & COWBOY grew up in Jacksonville, Florida and is the son of Samuel Robinson and Ruby J. Clayton-Daniels. He grew up with his beautiful cherished queen and sweetheart Mary Louise Cox, he soon married her and they were together for over 56 years. They were both baptized as Jehovah's Witnesses in the early 70s. From their union, 8 children better known as (Martin's ducks), were produced. Martin was a man determined to raise all his children which he did successfully. They both named all their children with the initials which matched theirs (MLR) which is something they both were very proud of. He was a successful husband, father, mentor and business owner. He was truly a dedicated family man. 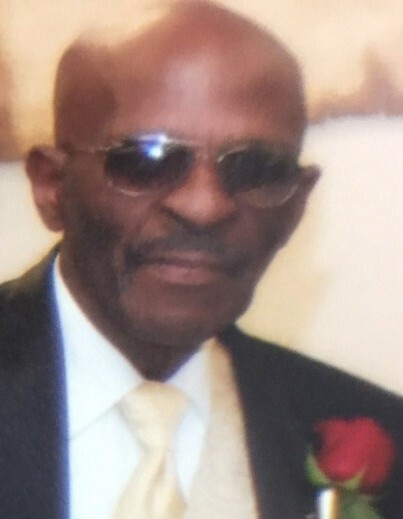 He leaves to cherish his memories, his wife, Mary Louise (Cox) Robinson; children, Martin L. Robinson Jr., Marvin L. Robinson (Gladys), Marvella L. Brown (David), Marvenia L. Robinson, Marneeta L. Bailey (Kenneth), Maurice L. Robinson (Desiree), Michael L. Robinson (Kizzly) and Marchell L. Robinson; siblings, Barbara Shingles, Samuel Robinson III (Jackie), Trazelle Lovett (Albert), Paulyn Mack (Joe), William Robinson (Andrea), Claudette Robinson and Lynnette Whigham; 10 grandchildren, Cassandra Lewis, Cortney Hall (Jamal), David Woodard Jr., Pete Dunmyer Jr., Derrick Woodard Sr. (Ceddrina), Kiara Bailey, Davida Woodard, Kenneth Bailey Jr., Jamaurie Robinson and Levi Williams; 5 great grandchildren, Eric Jones Jr., Angel Woodard, Derrick Woodard II, Jordan Hall and Christopher Bailey; in addition to an eldest cousin, Roxell Robinson Sr. (Janie); and a host of nieces, nephews, and many friends of the family.